If SpaceX is able to dispatch a robotic Dragon capsule to land on the red planet in 2018 on time and successfully, engineers stand to get a lesson on what it will take to eventually send humans there, capturing key data on an untested Mars landing scheme a decade sooner than NASA could do it, space agency officials said this week. Billed as a high-risk, high-reward test flight, the unpiloted Red Dragon mission aims to be the first commercial spacecraft to go to another planet, and land the heaviest vehicle ever put on the surface of Mars. SpaceX has not disclosed many details about the mission, but company chief Elon Musk is scheduled to reveal his plans for human expeditions to Mars at a global space conference in Mexico in September. 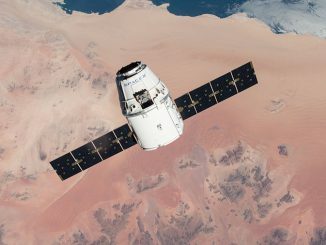 Jim Reuter, deputy associate administrator for programs in NASA’s space technology mission directorate, said this week that SpaceX’s Red Dragon demo mission will inform major tech initiatives needed before astronauts can land on Mars. “The two technologies that are needed no matter which way we go are precision landing and supersonic retro-propulsion,” Reuter told a meeting of the NASA Advisory Council’s technology and innovation committee Tuesday. NASA will offer its Deep Space Network, a set of large dish antennas in California, Spain and Australia, to communicate with SpaceX’s Red Dragon spacecraft, and interplanetary navigation experts at NASA’s Jet Propulsion Laboratory will plot the ship’s trajectory toward Mars. Government engineers will also help SpaceX select a suitable landing site, analyze Red Dragon’s entry, descent and landing system, and review the craft’s autonomy, fault tolerance, operability and qualification approaches, Reuter said. The space agency will also help ensure Red Dragon complies with planetary protection standards set by NASA and outlined in international agreements. Such guidelines ensure Earth-based microbes do not contaminate a potential Martian ecosystem. NASA’s investment over four years is estimated at about $32 million in the form of staff hours and technical analysis. Asked how much SpaceX is spending on the privately-funded one-way Red Dragon mission, Reuter estimated the company’s costs are about 10 times more than NASA’s planned expenditure, or roughly $300 million. NASA engineers started working with SpaceX on a possible robotic Mars mission several years ago, but the partnership was only formalized in April with the signature of a no-funds-exchanged Space Act Agreement. According to Reuter, the Red Dragon spacecraft will weigh between 8 and 10 tons when it lands. The largest lander to ever reach the Martian surface was NASA’s Curiosity rover, which weighed in at about a ton when it touched down in August 2012. NASA’s next Mars rover set for launch in 2020 will use the same combination of parachutes, retro-rocket thrusters, and the “sky crane” tethered descent system that debuted with Curiosity, but future vehicles will need to be significantly larger to deliver cargo and crews to the Martian surface. Those missions are too big to rely on parachutes and the sky crane system. NASA engineers believe supersonic retro-propulsion, using thrust from large rocket engines to do the parachute’s job, is the best way to deliver hefty spacecraft to the Martian surface. The Red Dragon spacecraft’s SuperDraco thrusters, mounted in pairs on four pods outside the capsule, will ignite at supersonic speed after the ship passes through the hottest part of its entry into Mars’ atmosphere. Landing legs should deploy just before the craft settles onto Martian soil. 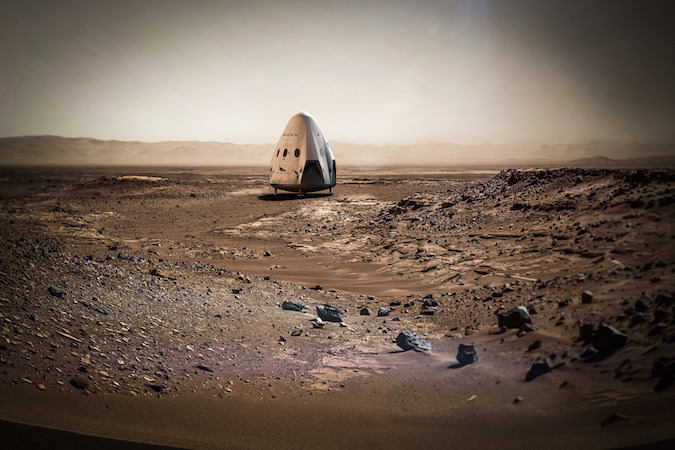 The Red Dragon concept builds on SpaceX’s Crew Dragon, a human-rated spaceship slated to begin ferrying astronauts to the International Space Station as soon as next year. Mars launch opportunities occur every 26 months, and the next launch window opens in May 2018. 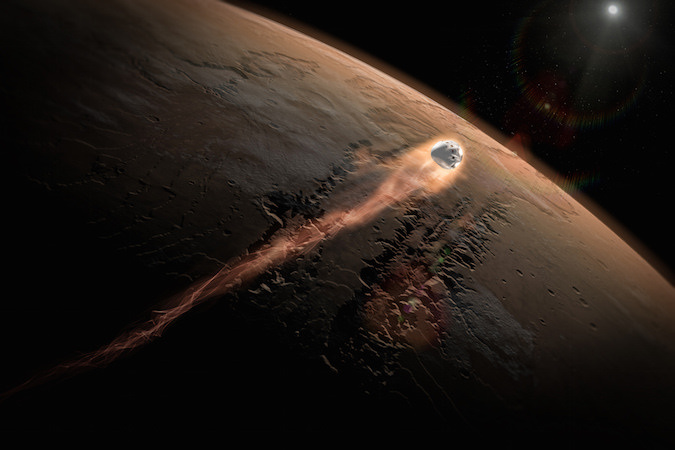 If SpaceX misses that chance, the next Mars window comes in July and August of 2020. The Red Dragon mission will collect data NASA says it needs before planning human voyages to Mars. Engineers want to see how supersonic retro-propulsion, a capability SpaceX has already demonstrated in Earth’s atmosphere with Falcon 9 rocket landings, works in the more extreme Mars environment. “The root of the problem for landing on Mars is this poor excuse for an atmosphere, to be honest with you,” Manning said July 20 at a symposium celebrating the 40th anniversary of Viking 1’s landing on Mars. “Mars’ atmosphere right now is very handy to slow down from thousands of miles per hour to hundreds of miles per hour, but it’s not very good to get you down to really slow velocities, so we have to have this weird contraption of landing systems that Viking invented, with heat shields, parachutes and rockets,” Manning said. 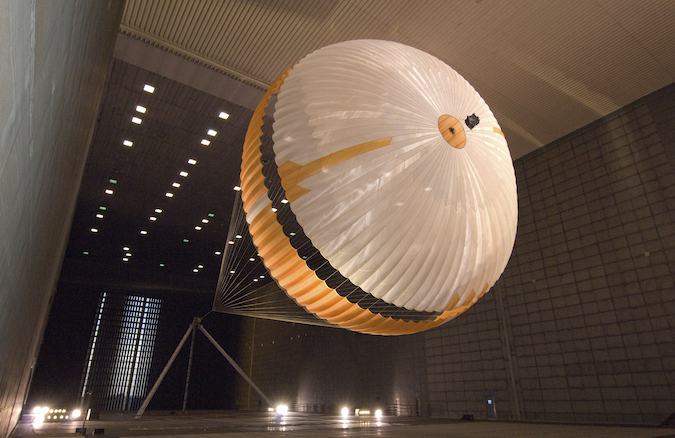 Engineers want to move away from parachutes on heavier Mars missions, a conclusion reinforced by the results of two stratospheric test flights of large new-generation parachutes in 2014 and 2015. Reuter said SpaceX has agreed to disseminate data from Red Dragon’s guidance computer and navigation sensors to NASA, helping engineers gauge the performance of the supersonic retro-propulsion architecture. 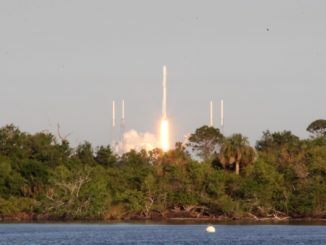 Manning said SpaceX has already shared data from their Falcon 9 booster stages, which fire up their Merlin engines for a series of re-entry and landing burns. The rocket conducts those maneuvers while flying at up to 4,000 mph (6,300 kilometers per hour), depending on each launch’s specific profile. Without the Red Dragon demo, NASA would likely have to fly its own entry, descent and landing demonstration mission to test out supersonic retro-propulsion. A NASA-led heavyweight landing demo would likely not occur until the late 2020s or early 2030s, so data from the SpaceX landing attempt will feed into Mars mission designs a decade earlier than expected, Reuter said Tuesday. Gerstenmaier called the Red Dragon partnership a “merging” of SpaceX and NASA priorities. Gerstenmaier said the Red Dragon’s approach to Mars in late 2018 or early 2021 — depending on when the mission actually launches — will have to be choreographed with a flotilla of Mars probes scheduled to head for the red planet during those launch opportunities. NASA’s InSight science lander, fitted with a suite of seismic and heat flow instruments, will also launch during the May 2018 window and arrive at Mars in November. In 2020, rovers from NASA, the European Space Agency and China are due to blast off for Mars, along with an orbiter from the United Arab Emirates developed in partnership with U.S. scientists and engineers. The NASA, ESA and UAE missions will all likely require tracking support from the Deep Space Network managed at JPL. “2018 and 2020 are pretty busy times at Mars, so we’ve just got to watch scheduling, watch planning times and watch workload with our personnel, but I think we can manage that,” Gerstenmaier said. SpaceX chief executive Elon Musk said last month he wants to send the first crew to Mars as soon as 2024, a mission that will require development of a new rocket and an in-space habitat. He did not specify whether the occupants would land on Mars or orbit the planet. NASA’s Mars exploration outline calls for astronauts to reach the vicinity of Mars — for a flyby or orbital mission — in the mid-2030s. 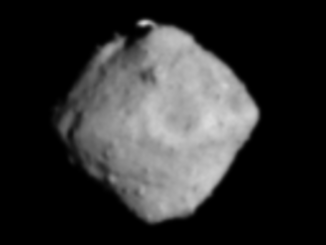 Under the agency’s current schedule, a landing sortie will come a few years later. Astronaut crews will fly multiple test missions to a “proving ground” near the moon aboard NASA’s Space Launch System booster and Orion spacecraft beginning as soon as 2021 to validate propulsion, navigation, habitation and other capabilities required for a Mars journey.